When 2018 began, Donald Trump had made 1,989 false and misleading claims. Over a couple of hours Jan. 2, Trump made false claims about three of his favorite targets - Iran, The New York Times and Hillary Clinton. He also took credit for the "best and safest year on record" for commercial aviation, even though there had been no commercial plane crashes in the United States since 2009 and, in any case, the president has little to do with ensuring the safety of commercial aviation. The fusillade of tweets was the start of a year of unprecedented deception during which Trump became increasingly unmoored from the truth. When 2018 began, the president had made 1,989 false and misleading claims, according to The Washington Post's Fact Checker's database, which tracks every suspect statement uttered by the president. By the end of the year, Trump had accumulated more than 7,600 untruths during his presidency - averaging more than 15 erroneous claims a day during 2018, almost triple the rate from the year before. Even as Trump's fact-free statements proliferate, there is growing evidence that his approach is failing. Fewer than 3 in 10 Americans believe many of his most-common false statements, according to a Fact Checker poll from earlier this month. Only among a pool of strong Trump approvers - about 1 in 6 adults in the survey - did large majorities accept several, though not all, of his falsehoods as true. Similarly, a November Quinnipiac poll found 58 percent of voters saying Trump wasn't honest, compared to just 36 percent who said he was honest. 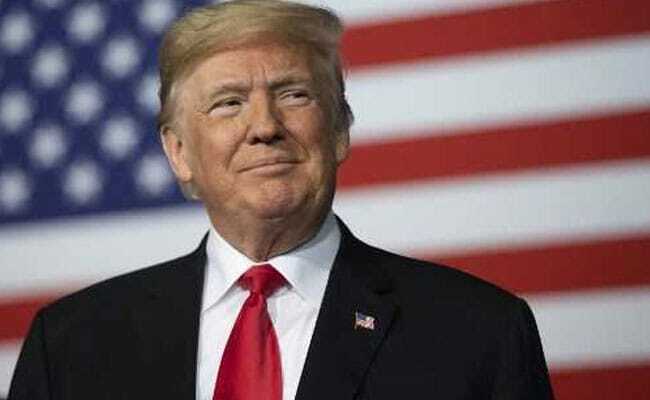 The same poll found 50 percent saying he is "less honest" than most previous presidents, tying his own record for the highest share of registered voters saying so in Quinnipiac polling. "When before have we seen a president so indifferent to the distinction between truth and falsehood, or so eager to blur that distinction?" presidential historian Michael R. Beschloss said of Trump in 2018. Beschloss noted that the constitution set very few guidelines in this regard because the expectation was that the first president would be George Washington and he would set the tone for the office. "What is it that school children are taught about George Washington? That he never told a lie," he said. "That is a bedrock expectation of a president by Americans." Trump began 2018 on a similar pace as last year. Through May, he generally averaged about 200 to 250 false claims a month. But his rate suddenly exploded in June, when he topped 500 falsehoods, as he appeared to shift to campaign mode. He made almost 500 more in both July and August, almost 600 in September, more than 1,200 in October and almost 900 in November. In December, Trump drifted back to the mid-200s. Trump's mid-summer acceleration came as the White House stopped having regular press briefings and the primary voice in the administration was Trump, who met repeatedly with reporters, held events, staged rallies and tweeted constantly. Trump is among the more loquacious of recent presidents, according to Martha Kumar, professor emerita at Towson University, who keeps track of every presidential interaction with the media, dating to Ronald Reagan. Through Dec. 20, Trump held 323 short question-and-answer sessions with reporters, second only to Bill Clinton through the first 23 months, and granted 196 interviews, second to Barack Obama. More than a quarter of Trump's claims came during campaign rallies. On Nov. 5, the day before the midterm elections, for instance, Trump held three rallies, yielding a total of 139 false or misleading claims. A review of every statement made by Trump at two of his earlier 2018 rallies found that he exaggerated or made up at least 70 percent of his assertions. Almost as many false claims came during remarks at press events, and about 17 percent were the result of the president's itchy Twitter finger. The president misled Americans about issues big and small. He told a series of lies about payments his now-convicted lawyer says Trump authorized to silence women alleging affairs with him. He routinely exaggerates his accomplishments, such as claiming he passed the biggest tax cut ever, presided over the best economy in history, scored massive deals for jobs with Saudi Arabia and all but solved the North Korean nuclear crisis. He attacks his perceived enemies with abandon, falsely accusing Clinton of colluding with the Russians, former FBI Director James Comey of leaking classified information and Democrats of seeking to let undocumented immigrants swamp the U.S. borders. The president often makes statements that are disconnected from his policies. He said his administration did not have a family separation policy on the border, when it did. Then he said the policy was required because of existing laws, when it was not. The president also simply invents faux facts. He repeatedly said U.S. Steel is building six to eight new steel plants, but that's not true. He said that as president, Barack Obama gave citizenship to 2,500 Iranians during the nuclear-deal negotiations, but that's false. Over and over, Trump claimed that the Uzbek-born man who in 2017 was accused of killing eight people with a pickup truck in New York brought two dozen relatives to the United States through "chain migration." The real number is zero. In one of his more preposterous statements of 2018, Trump labeled the Palm Beach Post as "fake news" for blaming him for traffic jams across the nation - when an article about the impact of low gas prices on driving habits never mentioned his name. Sometimes, Trump simply attempts to create his own reality. When leaders attending the United Nations General Assembly burst into laughter when Trump uttered a favorite false claim - that his administration had accomplished more in less than two years than "almost any administration in the history of our country" - the president was visibly startled and remarked he "didn't expect that reaction." But then he later falsely insisted to reporters the boast "was meant to get some laughter." In an October interview with the Wall Street Journal, Trump emphatically denied he had imposed many tariffs. "I mean, other than some tariffs on steel - which is actually small, what do we have? ... Where do we have tariffs? We don't have tariffs anywhere," he insisted. The newspaper responded by printing a list of $305 billion worth of tariffs on many types of U.S. imports. Trump exaggerates when the facts are on his side. He routinely touts a job growth number that dates from his election, not when he took office, thus inflating it by 600,000 jobs. And although there's no question Trump can draw supporters to his rallies by the thousands, he often claims pumped-up numbers that have no basis in fact. At a Tampa rally, he declared that "thousands of people" who could not get in are watching outside on a "tremendous movie screen." Neither a crowd of that size nor the movie screen existed.